Searching for an Probate Attorney in the Oceanside, CA area? Ronald Webb is an experienced local Probate Attorney who has been practicing law in Oceanside since 1994. Ronald Webb prides himself on providing extremely high-quality, yet very affordable legal services to the Oceanside community. 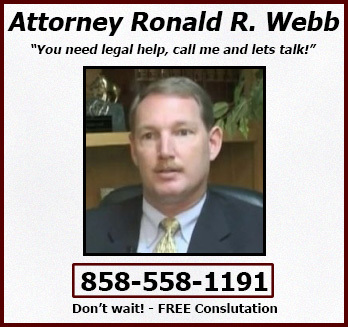 You need the Law Offices of Ronald R. Webb – Estate Planning and Living Trusts in Oceanside. What areas of Oceanside does Ronald Webb serve?